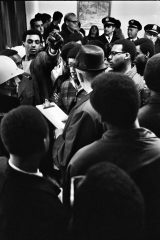 Fifty years have passed and the University of Wisconsin Oshkosh will reflect Nov. 14 on what is called Black Thursday—a day when 94 African-American students demanded equal rights on campus and protested in dramatic fashion until the tactics resulted in a mass arrest and expulsion of the students. Many never returned to the University. Others continued their education elsewhere. The event happened Nov. 21, 1968, and the UW Oshkosh campus will remember on Nov. 14, with events that include a reception and video detailing the Oshkosh 94 today as well as a dramatization of the historic events of the November day in 1968. At least 34 of the Oshkosh 94 are planning to attend, along with numerous family members and friends. The Oshkosh 94 will be honored and bestowed with Chancellor’s Medallions as Chancellor Andrew Leavitt offers remarks and a presentation. The next day, Nov. 15, the group will board a bus for a special campus tour and be treated to lunch at Blackhawk Commons. They will conclude the afternoon at the Multicultural Education Center in conversation with current UW Oshkosh students. said Sheila Knox, a member of the Oshkosh 94 and the Black Thursday Remembered planning committee. “It is a significant and important event in the history of the University and in Wisconsin. 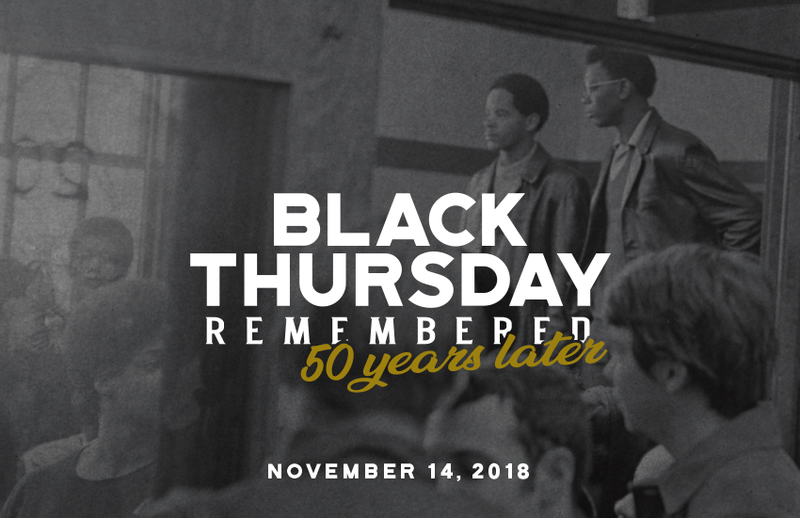 UWO history department chair Stephen Kercher has described 1968 as a time when the political winds were changing, and Black Thursday was one of the first social demonstrations to break out in Wisconsin. The plaque notes that the sacrifices of the 94 brought several reforms to the campus, including the creation of the Multicultural Education Center and a diversification of the faculty and curriculum. In 2014, a scholarship—the African-American Student Leadership Award—was created for full-time African-American undergraduate students who are at least of junior status and who have demonstrated academic achievement and leadership in activities that benefit African-American students. The scholarship has been given each year in memory of the Oshkosh 94.